Best 50 English Shows in the Past 20 Years! Paul O'Grady: Me nose is running like a gas blowers bum. Known to many of us in the UK for his on stage antics as Lily Savage in drag, Liverpudilian Paul O'Grady has proved to have made the successful transition from an adult stand-up act to a family friendly TV presenter. 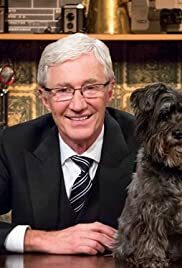 The Paul O' Grady show is a one hour chat show where celebrity guests drop by and talk about their latest book, film, TV show to name, as well as the playing the odd games, such as 'guess the theme tune' and even features appearances by some animals; most notably they include Paul's very own dog Buster, who has become something of a cult figure in the show. As a presenter, O'Grady himself brings a lot of flamboyancy and silliness to the chat show format, which is usually renowned as being very formal and straight-to-the point, which in itself, is rather boring to watch. 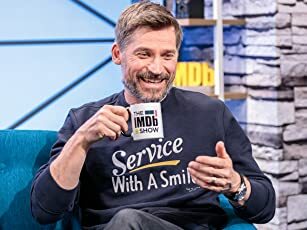 It works well a) because this is a light entertainment programme after all and b)he is able to combine his comedic talents with a particular style of presenting, which is refreshing and different in contrast to other so-called celebrity-based chat shows. O'Grady looks like he is enjoying himself and his humorous banter offers a somewhat off-the wall perspective on the chat show format that is mildly appealing and entertaining to watch. Even though the show is aimed at older audiences, the Paul O'Grady Show can be enjoyed by everyone, regardless: it is as I said entertaining, colourful, amusing and likable at the same time. It did well on ITV1, and it's still doing well on Channel 4, thanks mainly to the brilliant efforts of O' Grady himself as the host.